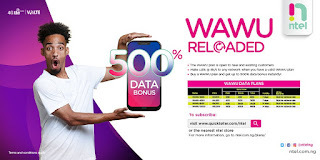 Ntel Nigeria just released a new WAWU Reloaded Data Plan which offers you 500% data bonus. 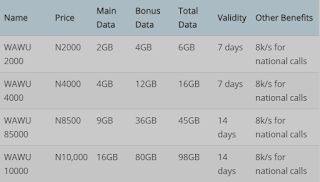 This is an update from the discontinued WAWU plan which offered huge data for a small amount. More data! More excitement! More fun! with WAWU Reloaded. All you need to do is, buy a WAWU plan and get 500% data bonus instantly!!! Available to new and existing customers. Visit www.quickteller.com/ntel to subscribe. 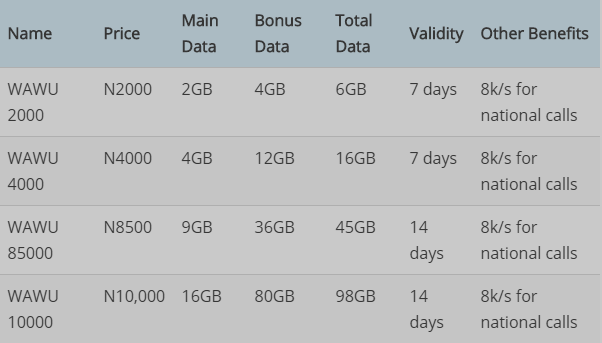 This new Ntel Nigeria WAWU Reloaded Data Plan can't be concluded to be that good compared to the previous WAWA Plan, formally, you get 24GB for N2000 but now, it has been revised to 6GB for N2000. The promo is over, but this should be an alternative to the old plan. - Go to: www.quickteller.com/ntel or visit your nearest ntel store. This is the new plan, and how to subscribe, tell me what you think below the comment box. Also, use a sec to share this post with the social media buttons just below.